Home audio / video professional. We design, sell, install and program low voltage systems. From simple TV mounted above the fireplace to a fully automated smart home controlling audio, HVAC, security, cameras, door locks and lighting all with your iOS device. From simple TV mounted above the fireplace to a fully automated smart home controlling audio, HVAC, security, cameras, door locks and lighting all with your iOS device. 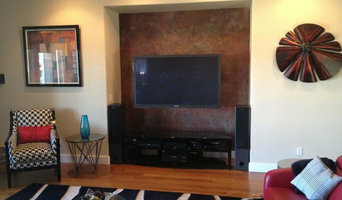 RAC Advanced Control is a professional home automation and audio visual company. Specializing in: * Smart Home Automation * Home Theater Installation * Home Audio & Video System Installation * CCTV Security Cameras Installation * Home Alarm Installation * Access Control Installation * Shading Systems Installation * Intercom System Installation * Universal Remote Control Programming At RAC Advanced controls, we design, install and integrate leading edge environmental control and monitoring systems as well as seamless audio, video and communication solutions. Our integrated solutions allow you stay connected with your home family and friends from wherever you are, through a unified, easy to use interface. We work closely with you throughout the entire process, consulting with your architect and designers to understand every aspect of your living space and ensure a seamless installation. As members of the community we serve, we are proud to be the area's leading, LOCALLY OWNED AND OPERATED - NO DEALER MARKUP- low voltage provider! Our goal is to provide our customers with effective solutions tailored to meet any need and budget demand. Our team works quickly and effectively while never compromising quality or customer service. At Northern Nevada Low Voltage, we choose to only partner with manufacturers who provide the industry's top quality audio/visual products and services; and our team has the field experience and certifications necessary to bring these solutions to your home and business. Looking to get the most enjoyment out of your places of leisure? Have an office suite or warehouse needing an infrastructure upgrade? Let the service professionals at NNLV walk you through the process beginning with a FREE SITE SURVEY & ESTIMATE, and help you build the project that is right for you! Contact us and let's get started today! NNLV is fully licensed, bonded & insured. At RAC Advanced controls, we design, install and integrate leading edge environmental control and monitoring systems as well as seamless audio, video and communication solutions. 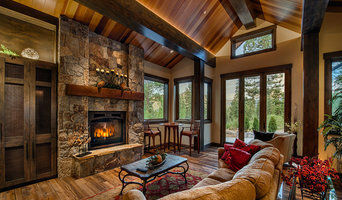 With more than 19 years serving the Truckee Tahoe area, Nexus is the leader in fully integrated radiant heat, centralized lighting, window treatments, whole-home audio, lighting and home theater solutions. Discover the latest in luxury home automation technology and innovation, expertly tailored to capture your vision and exceed your expectations. We pride ourselves on creating the most intuitive, reliable, and secure luxury home automation systems possible. Everything we do is carefully crafted to reflect your individual style and home decor. We work closely with you throughout the entire process, consulting with your architect and designers to understand every aspect of your living space and ensure a seamless installation. Our highly-trained and certified technicians are consistently recognized by our clients for providing extraordinary customer service and support. Scott Ruzich presents a company that is aggressively on the forefront of modern technology. Epic Tech and Designs was created 11 years ago. 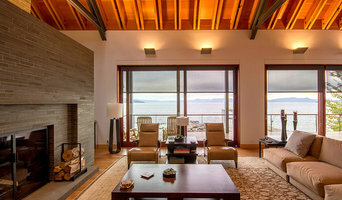 The company has since grown to include Interior Designers and an Electrician. Lynn Tokoph and Savanna Eccles aim to provide bold design concepts, while infusing them with luxury, warmth and a sense of home to any space. Our team provides clients a superior package whether it be home automation, smart house technology, window coverings, lighting, or interior design. We guarantee you can find control from anywhere at anytime, inside or outside making it simple for anyone to use. Our systems and packages provide the luxury of convenience, simplicity, entertainment, saving time & money, security and a piece of mind for clients. - All systems are interfaced with smart phones and tablets. 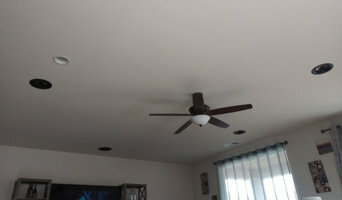 - Our highly trained staff will walk you through the process every step of the way beginning with a preliminary consultation, system design, installation, and lastly, training for the client ensuring that everything is working properly and the client is comfortable and fully knowledgeable with their new home system. - We will provide you support with certified technicians 24/7 and beyond. Quality and superior customer service are our number one focus. Epic Tech and Designs currently services California, Nevada and Texas working mainly with high end builder's,commercial builder's, and clients such as executives, athletes, or anyone else who wants the convenience and luxury of fully functional home. Let us help you with your next project. Call or message us today. Diversified Systems International is a Nevada Corporation that started in 1994 with only three employees. Today, DSI is 20+ strong and meeting the installation and service needs of customers stretched across Nevada, California, Oregon, and Washington. Over the past 20 years, our growth can be attributed to a vast referral network of contractors, consumers, and independent businesses which have come to recognize the value of what we have to offer: consistent product performance and excellent service. DSI’s System Integration business has a strong reputation for completing all types and sizes of Audio /Visual projects. DSI serves both commercial and residential marketplaces and can be counted on to complete your project on schedule, within budget, and to your expectations. Definitive provides two decades of certified excellence in home & building systems automation, audio visual, HD Surveillance and single touch control solutions for luxury home and business clients. 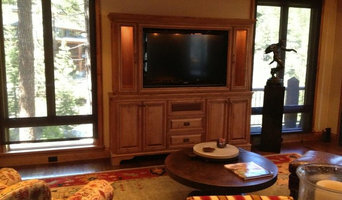 Serving the Tahoe/Truckee area for 16 years, Definitive installs single touch, smart home and building automation & control systems and turnkey, single touch operation of audio/video, HD Surveillance & Cloud Recording, Lighting, Heating & Air Conditioning Control, and remote monitoring and management for homes, businesses and hospitality establishments. John is an engineer from Silicon Valley that enjoys designing and building solutions that put technology to work for affordable, reliable, and easy-to-use solutions. John also enjoys meeting people of all ages and working with them so they realize their dream systems. We can help you select the best products from our top brands, deliver them, install them, configure them, program them, and calibrate them. Sounds Great LLC does top quality work for every project! Reach out for details.